If a knee replacement procedure is in the cards for you, you've likely already been told that recovering from joint replacement surgery will take time and require a lot of patience and determination. Being ready for that reality is important, but so is knowing what you can do to minimize the time it takes to get back in shape and get back to your life. Most surgeons and/or hospitals offer joint replacement surgery education programs for patients who will be undergoing these procedures. Making it a priority to attend any programs offered to you can benefit your recovery in several ways. First off, it can help you get a handle on exactly what to expect during and after surgery, getting you mentally prepared for your procedure – preparation that can go a long ways towards reducing anxiety and frustration throughout the recovery process. Additionally, these programs work to help patients understand how to best prepare the body for surgery, helping them with steps like good nutrition, preparatory exercise, and other measures that can be taken before surgery to speed healing, recovery, and rehabilitation afterwards. Taking good care of yourself after surgery is crucial to a speedy and successful recovery after knee replacement, and good rehabilitation therapy is perhaps the most important element in that process. For that reason, you may want to consider enrolling in an inpatient short term rehab program after your surgery. Patients who participate in intensive, comprehensive inpatient rehabilitation programs after joint replacement surgery tend to have faster and more complete recoveries than those who forgo therapy or opt for outpatient or home-based rehab therapy. 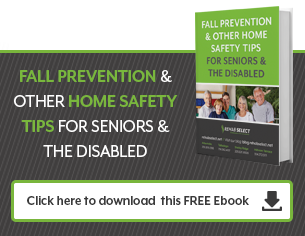 Whether you'll be going home directly from the hospital or after a stay in short-term rehab, taking steps to prepare your home environment for safety and convenience is important. Preparations that can make your life a lot easier after joint replacement surgery include stocking your pantry and freezer with healthy, easy-to-prepare foods; making sure there is a clear path to often used areas of the home; ensuring that safety equipment – shower chairs or grab bars in the bath, for instance – is installed ahead of time; and having arrangements in place for help with household tasks, errands, and transportation to follow-up and therapy appointments. Having all your ducks in a row before surgery can help reduce stress and strain afterwards, leaving you free to focus on your recovery. Joint replacement surgery is a serious procedure, and recovery will still take patience and hard work. However, thinking ahead and taking steps to prepare your body, mind, and home environment ahead of time can certainly speed up the process, minimizing the time it takes to put the experience behind you and get back to your life.